Air Asia Promo Fares: Eyes here! 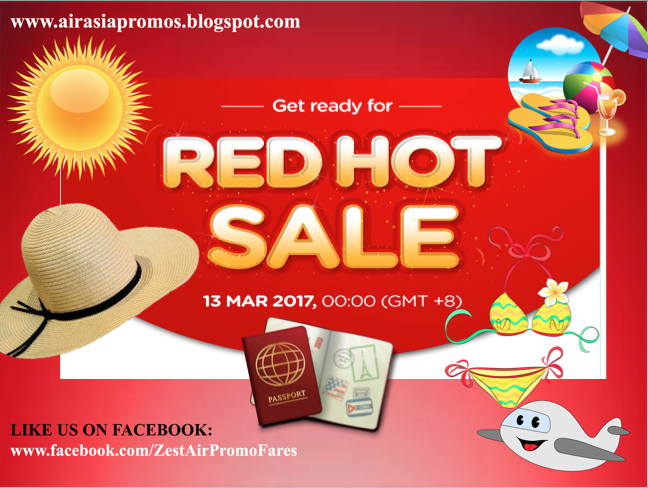 AirAsia will launch their #RedHotSale again tomorrow!!! So take this as advance update for all of you! Time for #RedHotSale again, be ready to avail our lowest fares on 13th March 2017, Monday, 12:01am! We hope you can share this information to everyone! AirAsia BIG Members get 24-hour priority access on Sunday, 12 March 2017! To enjoy our promo fares, kindly ensure that you have logged in to your account. 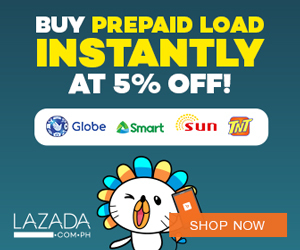 You can also get the lowest fares on our website or the mobile app too! If you can’t see any fares, please log in again. Breeze through the payment process with Xpress Pay. When you sign up as an AirAsia BIG Member, you can add up to 10 credit or debit card details to your account to enjoy a one-click checkout process. This means, you’re more likely able to secure our free seats and low fares faster than anyone else! Learn more about Xpress Pay. If you encounter any payment error, you can always log in to your account and click My Bookings to complete your payment without having to re-book your flight. Sign up as an AirAsia BIG Member now! 2. Use the recommended browser to book your flights! To ensure a smoother booking process, use either: Chrome, Mozilla Firefox or Internet Explorer only. Have a few back-up travel plans. If plan A doesn’t work, at least you have back-up plans and you’ll save the hassle of planning from scratch again. Have the full names and date of birth of all guests ready for a faster booking process. You can even pre-fill your favourite travel buddies’ details under My Friends & Family in My Profile to save more time! 4. When all else fails, go mobile! Did the ‘Waiting Room’ appear one too many times? Try going mobile. Just log on to mobile.airasia.com on your mobile devices or use the AirAsia Mobile App to book with ease! Learn more about the app here. Scan the QR code with your Android or iOS mobile devices and you can start planning your next holiday with us! 5. Secure your flights first. You can add on anytime! Just head on to Manage My Booking to do all these and more! Do NOT attempt to open multiple tabs using the same browser to search for fares as it will not allow you to proceed with booking/payment. You may end up with the wrong travel date! Make sure you have disabled any pop-up blockers to ensure a smooth payment process. You will be directed to the ‘Waiting Room’ when your search needs a little more time. So don’t refresh your browser when you’re in there or you’ll enter a whole new ‘Waiting Room’.